How many iPhones will T-Mobile USA sell? 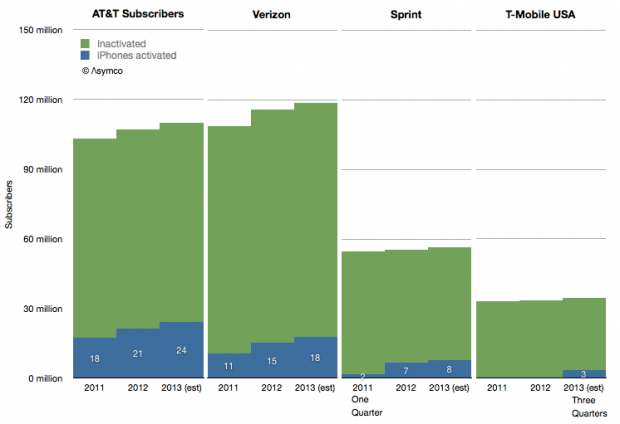 From the initial product launch until the end of 2012, AT&T has activated 72 million iPhones. Verizon began selling iPhones four years after AT&T and managed to activate 26 million since. Sprint began nine months after Verizon and has activated 8.5 million. 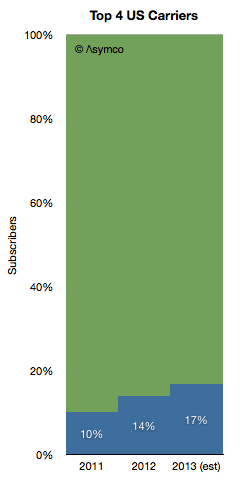 In proportion of their subscriber bases, the activations are shown in the following graph. I identified the reported iPhone activations with blue areas while the sum of green and blue areas represent total subs at the end a the given year. 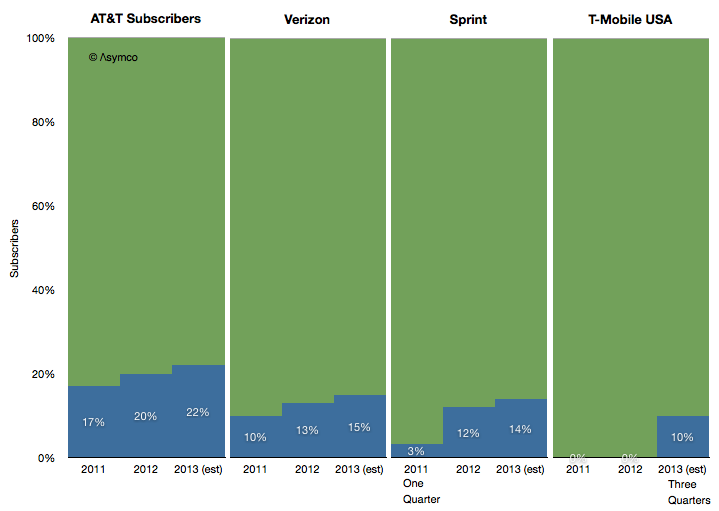 I also took the liberty of forecasting 2013 data in order to try to estimate T-Mobile’s contribution. The method used was to look at the percent of total subs that each operator has been activating. Accounting for the limited sales period for Sprint in 2011, the sales patterns are consistent across the carriers. The longer the product is available, the higher the activation rate. Therefore I estimated that in 2013 T-Mobile USA will sell about 10% of its subs base an iPhone. That would make its contribution to iPhone sales about 3.4 million. 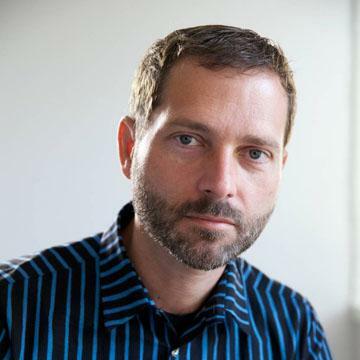 It would also imply US sales among the top operators of 53 million iPhones in 2013. That itself is 17% of 320 million subs. So perhaps it’s time for Apple to celebrate. This year, after six years, Apple will have completed entry into its first major phone market. The rest of the world will not be as quick.